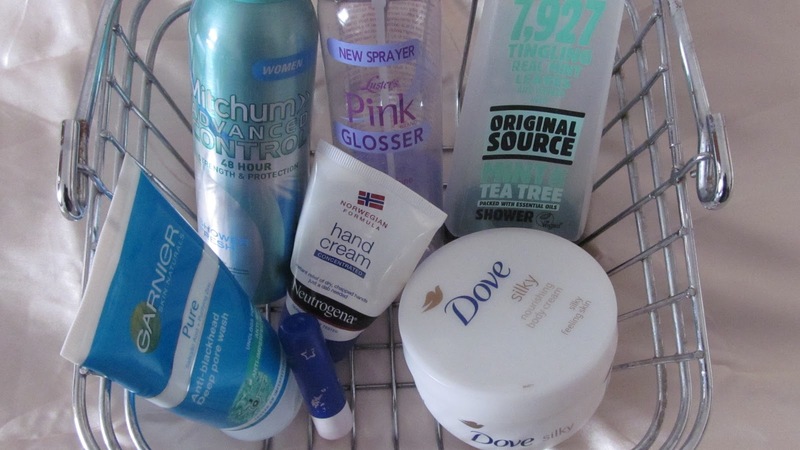 Here are all of my October empties, and it's mainly the essentials that I have used up this month. Luster's Pink Glosser - This is an oil spray that also acts as a heat protector. I only tried it because I had trouble tracking down my usual oil spray, and this one is stocked in Boots which is quite unusual for afro hair products. It was an okay substitute but to be honest my hair needed something a bit stronger. Original Source Mint & Tea Tree Shower Gel - I love this shower gel. It gives a lovely tingly feeling on the skin which is amazing for waking you up the morning after the night before. Neutrogena Concentrated Hand Cream - I didn't think much of this one. It has quite an unusual texture for a hand cream. You only need a small amount and it does the job but I didn't think there was anything particularly special about it. Superdrug Lipbalm - You can barely see the label on this one as it has worn off over time. A very basic lip balm that was nourishing and only needed to reapply once or twice throughout the day. No fragrance or colour, but just a good basic. Mitchum Advanced Control Deodorant - I am a big fan of the Mitchum deodorant sprays. They smell nice, don't leave white marks and leave you feeling fresh even the morning after a big night. Result.